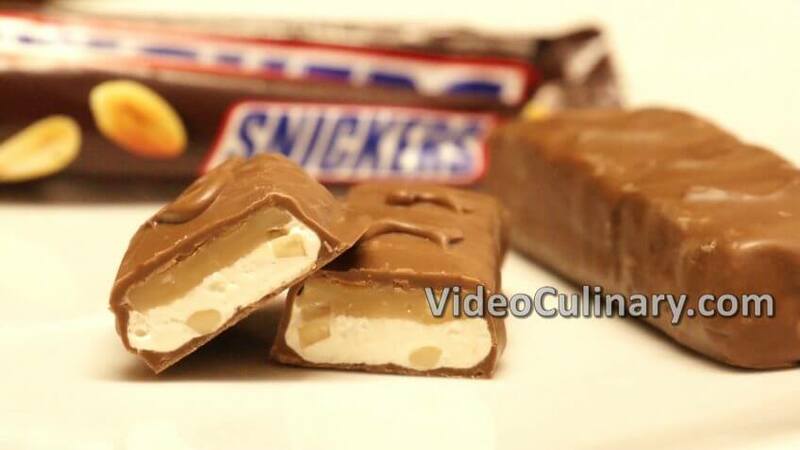 The snickers chocolate bar consists of nougat, caramel, peanuts and chocolate. 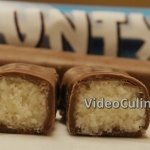 It is one of the most popular candies in the world, and you can make it yourself. First, roast peanuts and remove their skins. 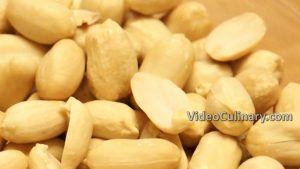 Place 200 grams of peanuts in a baking pan, and bake for 5 minutes at 180°C (350°F). Cool, and remove the skins. Coarsely chop 100 grams. Set aside. 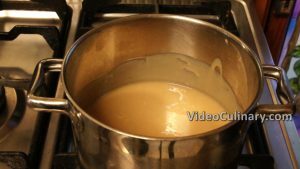 Make the soft dairy caramel: Place 300 grams (10.5 oz) of sugar and 400 ml (14 fl oz) of cream in a pan with high sides. Be careful, the caramel bubbles up! Bring to boil, stirring to dissolve the sugar. 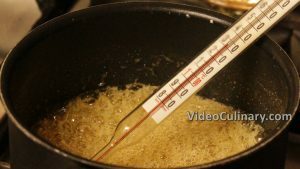 Add 200 grams (7 oz) of glucose syrup, and continue cooking stirring constantly, until the caramel reaches 110°C (230°F). Turn off the heat, add a pinch of salt and 15 grams (0.5 oz) of butter. Set aside to cool. 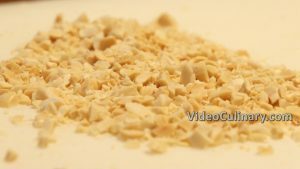 Make the nougat: chop the remaining 100 grams (3 oz) of the roasted and peeled peanuts. Chop the peanuts smaller than you did for the caramel filling. Place in a bowl. 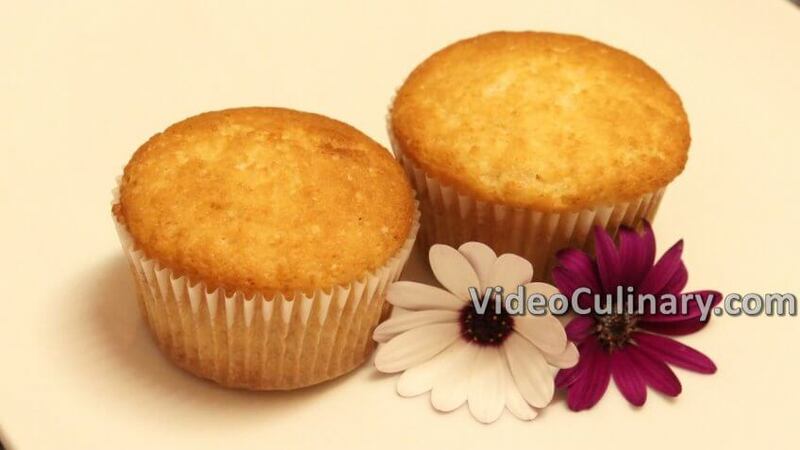 When the syrup reaches 130 – 140°C (265 – 285°F), turn the speed onto high, and gradually add the hot syrup. 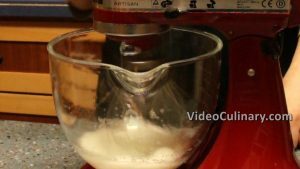 Continue whipping for a few minutes until stiff. 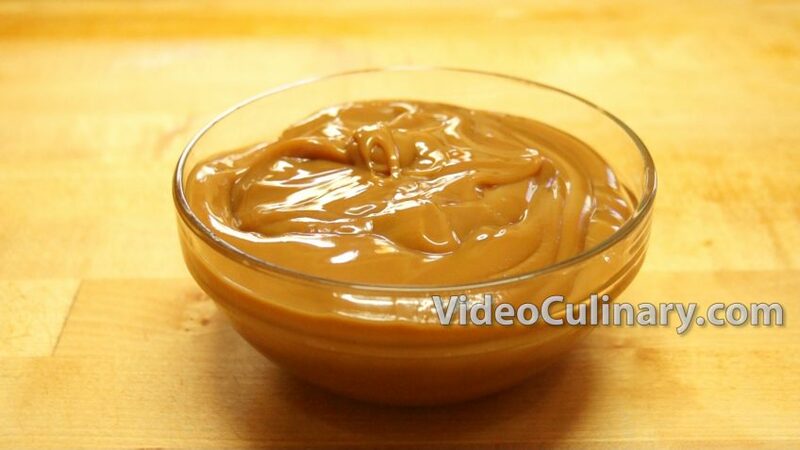 Reduce the speed to low, add 15 grams (0.5 oz)of peanut butter and the chopped peanuts. 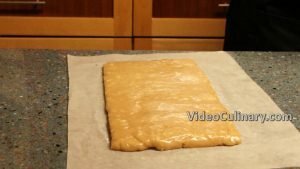 Spread the cooled caramel filling on a sheet of parchment paper. 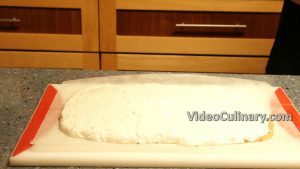 Place a second sheet of parchment paper on top, and roll into a 1 cm thick rectangular. 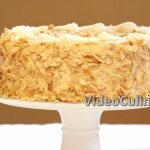 Remove the parchment paper. 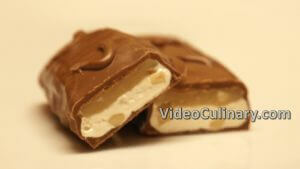 Spread the nougat over the caramel and set aside for 48 hours, to dry. 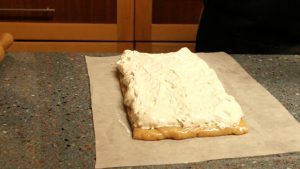 After 48 hours, freeze the nougat and caramel for 20 minutes. 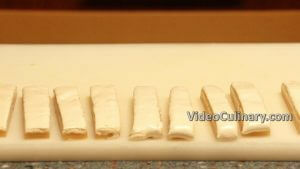 Remove from the freezer, and slice into 2 x 8 cm bars (0.7 x 3 inch). 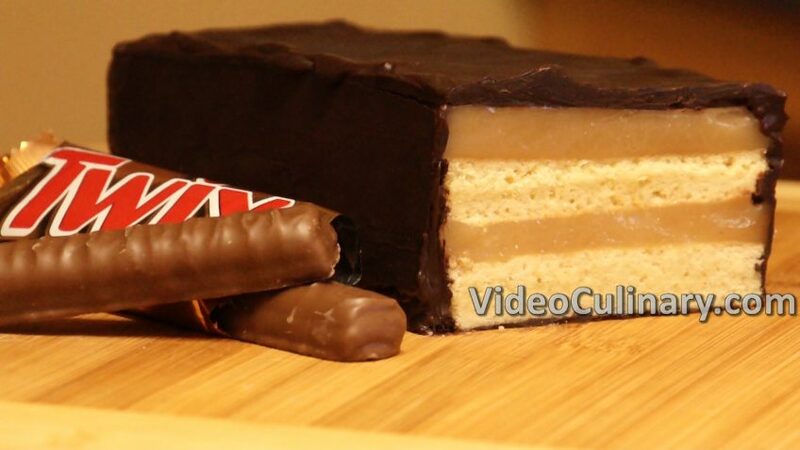 To cover the snickers with chocolate, it has to be tempered first. 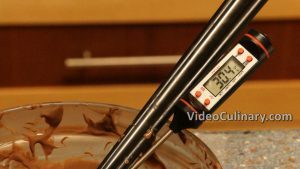 Tempering chocolate is the process of melting chocolate and then cooling it down, while following specific steps, to get the right type of cocoa butter crystals to form. Chocolate that has been tempered is glossy and has a sharp snap. Untempered chocolate will bloom and develop white spots and streaks. There are different ways to temper chocolate, but all of them are based on the same principles. 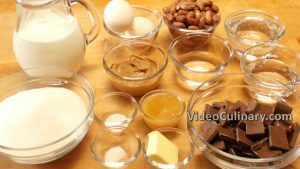 In this recipe, we will temper the chocolate using the “seeding” method. If you don’t want to temper chocolate, just use compound chocolate, which does not contain cocoa butter. 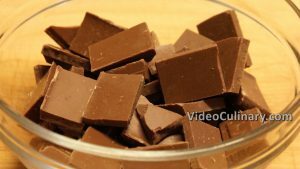 Place 300 grams (10 oz) of chocolate in a dry bowl. Set over simmering water, and melt, stirring gently. Heat to 41°C (105°F). The temperature range for this step is 40 – 45°c (104-113°F). Remove from the heat. 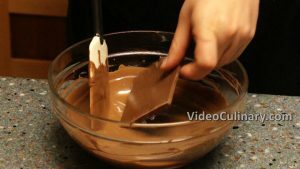 Add about 150 grams (6 oz) of chocolate that has already been tempered. A chocolate bar would be perfect for this. You could add it in one chunk or in small pieces. 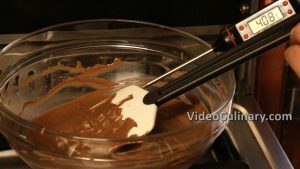 Keep adding chocolate and mixing it in, until all of the chocolate has melted. Stop adding chocolate when it stops melting. 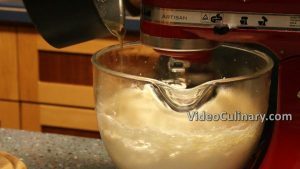 Remove any unmelted chunks. 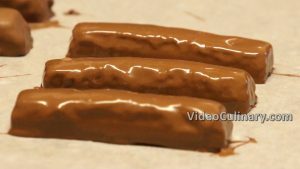 Use two forks to dip the snickers into the chocolate. Tap the forks against the edge of the bowl, to let the excess chocolate drip off. Shake a little to let the excess chocolate drip. Place on a sheet pan lined with parchment paper. Pipe chocolate on top, resembling the snickers pattern, using a parchment paper cone. 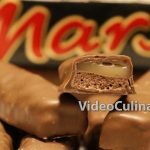 Once the chocolate sets – homemade snickers are ready to enjoy!